Dirk Nowitzki is into his 21st season in the National Basketball Association, all with the Dallas Mavericks. The German is revered in the US, not just for his play, but also for how he conducts himself off the court. 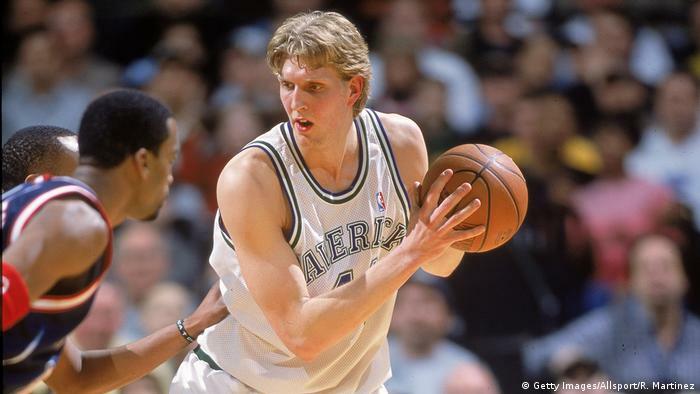 It was exactly 20 years ago, on February 5, 1999, that Dirk Nowitzki played his first game in the National Basketball League. It was a shortened season that started several months late because of the third lockout in NBA history, but the lanky 20-year-old from the southern German city of Würzburg played well enough in the 47 of the Mavs’ 50 games to earn consideration for the rookie of the year award. In his sophomore season, he was in the frame to be named the NBA’s most improved player. A year later he was the Dallas Mavericks’ top point scorer, a title he would hold for the next 13 years. By the 2005-6 season, Nowitzki had become the superstar he remains today. He was the first European – and only the third non-American after Nigerian Hakeem Olajuwon and Steve Nash of Canada – to be voted Most Valubale Player (MVP). But the highlight of his career was the Mavericks’ title win in 2011 over a Miami Heat side packed with superstars including LeBron James, Chris Bosh and Dwyane Wade. 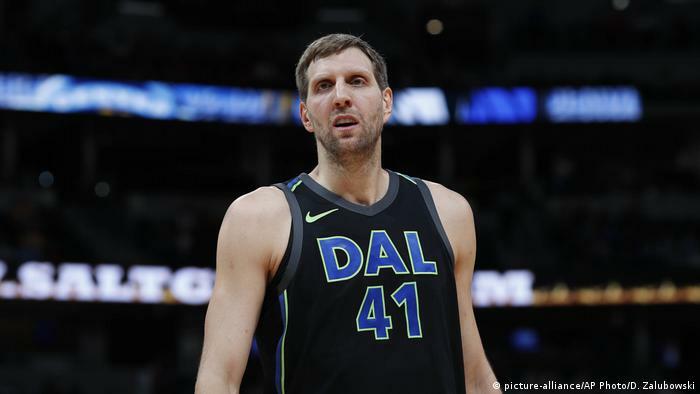 Patrick Femerling, the man who has made the most record number of appearances for Germany’s national basketball team, says there were a number of things that made the 2.13 meter (7 ft. 0 in) Nowitzki stand out at the start of his career. 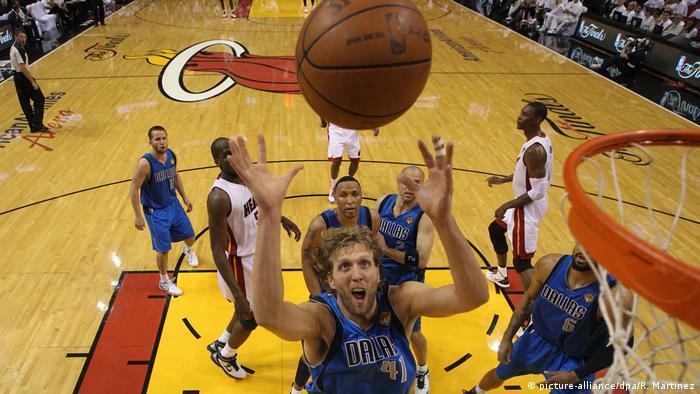 Nowitzki’s signature move is the fadeaway jump shot – so much so that when others imitate it, reporters sometimes simply refer to it as a “Dirk.” His style of play has had a major impact on how the game is played in the NBA today. Throughout the league, the three-point shot is much more important today than it was when he broke into the NBA two decades ago. “He changed the game for bigs. He gave us opportunity outside of the box,” Demarcus Cousins recently told the US fan portal Fansided. The 28-year-old center with the Golden State Warriors is considered one of the most talented big men in the league. Of course, he too regularly scores three-point shots, without which he wouldn’t enjoy that reputation. 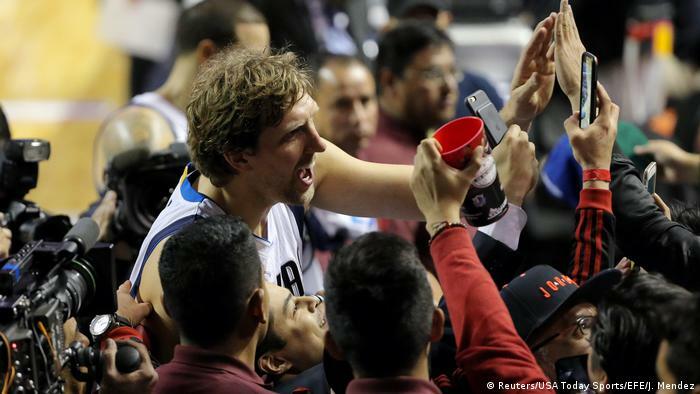 Nowitzki is loved in the United States, not just for his exceptional talent on the basketball court. He is also seen as extremely hardworking, self-disciplined, professional and competitive. 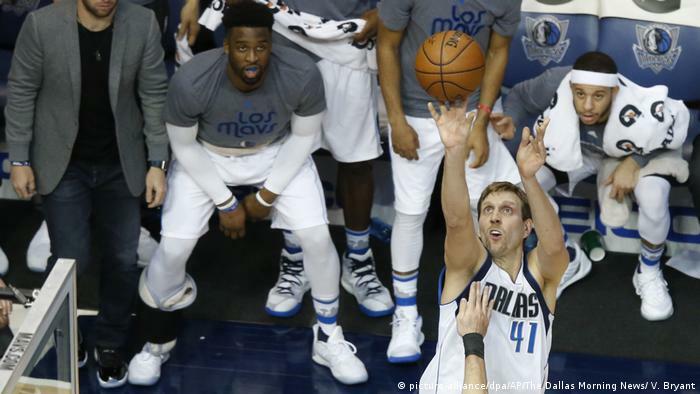 For Nowitzki it’s not so much about being a star. Instead, it’s all about the unconditional willingness to take on a challenge, be it to improve his technique, to fight back from a deficit on the scoreboard or to make his latest shot. These are qualities attributed to a lot of NBA stars, but none of them are as unpretentious as Dirk Nowitzki. To find evidence of how much of a team player Nowitzki is, you need look no further than the contracts he’s signed, foregoing millions so that Dallas could afford to go out and bring in enough other high-price players to make the Mavs competitive. According to the Business Insider the German has left as much as $194 million (€170 million) on the table in three contracts that paid him well below his market value. 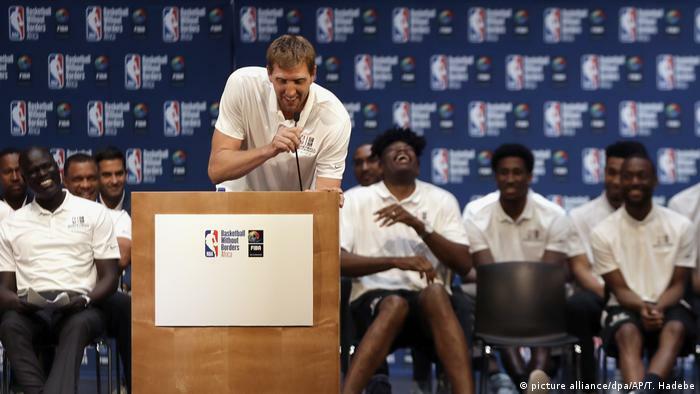 Countless videos posted on the internet document Nowitzki’s sense of humor – including the self-effacing variety. He’s been known to appear in a television commercial wearing a wig combed in his own hairstyle, or even to perform comedy at a charity event. All this adds up to an unparalleled popularity that makes Dirk Nowitzki far more than “just” an exceptionally good basketball player. The Milwaukee Bucks made Dirk Nowitzki the ninth overall pick in the 1998 NBA draft. Milwaukee then immediately traded Nowitzki to the Dallas Mavericks, meaning he never actually wore a Bucks jersey. His NBA debut was delayed by the 1998-99 NBA lockout, but it finally came on February 5, 1999 against the Seattle Supersonics and fellow German Detlef Schrempf. Nowitzki, whose mother played basketball for Germany and whose father was a second-division handball player, was born in Würzburg on June 19, 1978. He didn’t pick up a basketball until he was 13, but it was clear from the start that he had talent. It was while he was playing for Würzburg in Germany’s second division, that the then 19-year-old first drew the attention of several NBA scouts. Nowitzki’s trademark is his fadeaway jump shot. It may not be as spectacular as a dunk, which he’s also more than capable of producing, but it’s just as effective. The NBA’s best defensive players often said how hard it was to defend Dirk when he was in the groove. It seems he can do it all. 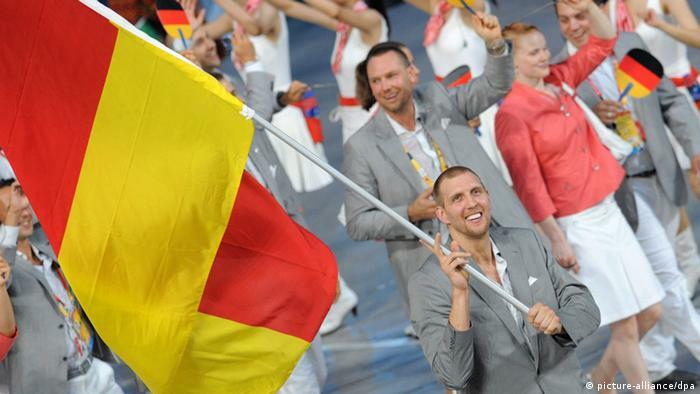 Nowitzki had the honor of being Germany’s flagbearer at the 2008 Summer Olympic Games in Beijing. However, Germany’s basketball team failed to make it to the knockout phase. Nowitzki did win the bronze medal with Germany at the 2002 World Basketball Championship as well as silver at the 2005 edition of the tournament. Holger Geschwindner was an elite basketball player who represented Germany at the 1972 Summer Olympics in Munich. However, he is far better known as the man who discovered Nowitzki. 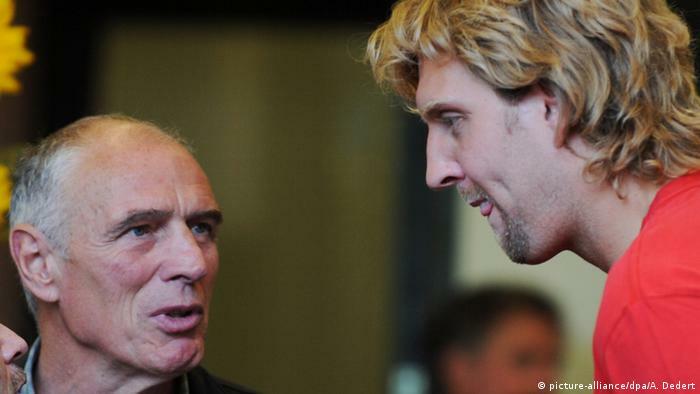 In 1995 he convinced Nowitzki to dedicate himself exclusively to basketball. Even now, Nowitzki sometimes has Geschwindner fly over to the US, where he is still the NBA star’s personal trainer and mentor. 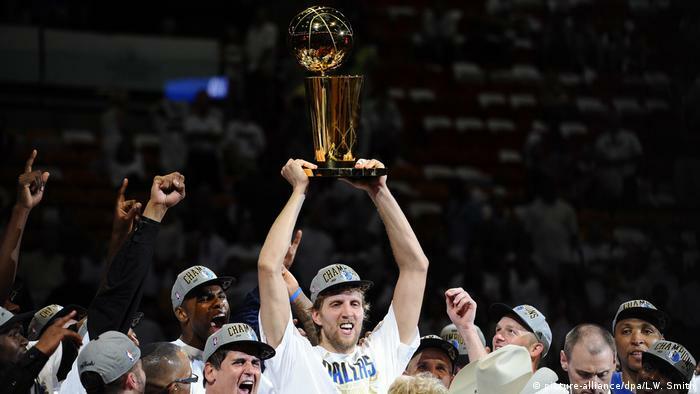 Nowitzki thus became the first-ever German to win an NBA title – putting him in the same conversation as former German sporting greats Max Schmeling, Franz Beckenbauer and Michael Schumacher. He was also named the Most Valuable Player of those NBA playoffs, four seasons after he had become the first European to be named the NBA’s MVP. Despite all of this success, Dirk Nowitzki has always kept his feet planted firmly on the ground. He makes himself available for interviews whenever he can and takes time to sign autographs for the fans as often as possible. However, the father of three children tends to keep his family life to himself. Nowitzki is the curator of a foundation committed to the promotion of youth welfare, as well as the education and training of socially disadvantaged people. Involved in a number of other projects, the German has earned himself a reputation as a player whose influence reaches beyond the basketball court. Here he is talking about “Basketball without borders” at a press conference in South Africa. Dirk Nowitzki entered his 21st season in the NBA knowing that he would be playing a diminished role compared to his heyday. 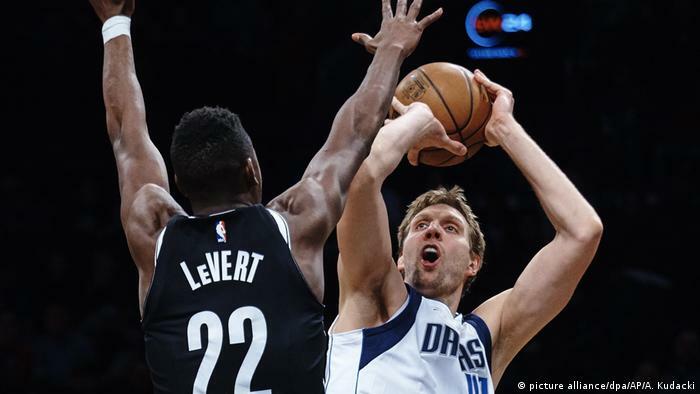 However, in recognition of his remarkable career and contributions off the court, last week NBA Commissioner Adam Silver made Nowitzki one of two special team roster additions for the 2019 NBA All-Star Game on February. 17. The other is Dwayne Wade of the Miami Heat. Off-season ankle surgery meant that Nowitzki was only able to return to the court late last year. However, when he did, on December 13, he set the NBA record for the most seasons played at a single club (21). He also became just the fifth NBA player to last for 21 seasons, tying a league record. As of February 4, 2019, he is seventh in the NBA’s regular season scorers’ list with 31,275 points. 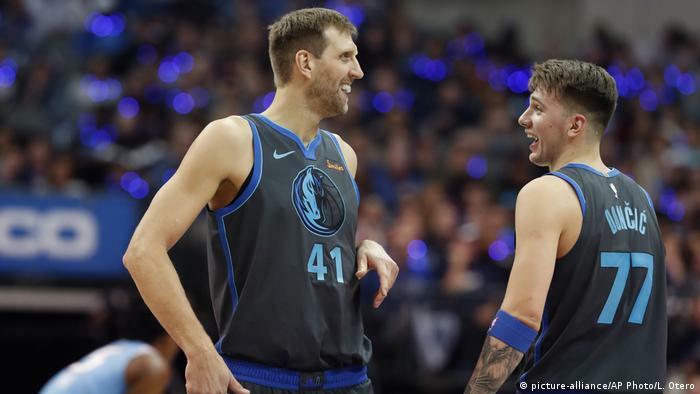 Currently, the best player on the Dallas Mavericks is Luka Doncic (right). The 19-year-old guard from Slovenia is having an even better rookie season than the veteran Nowitzki had two decades ago, averaging more than 20 points and seven rebounds per game.